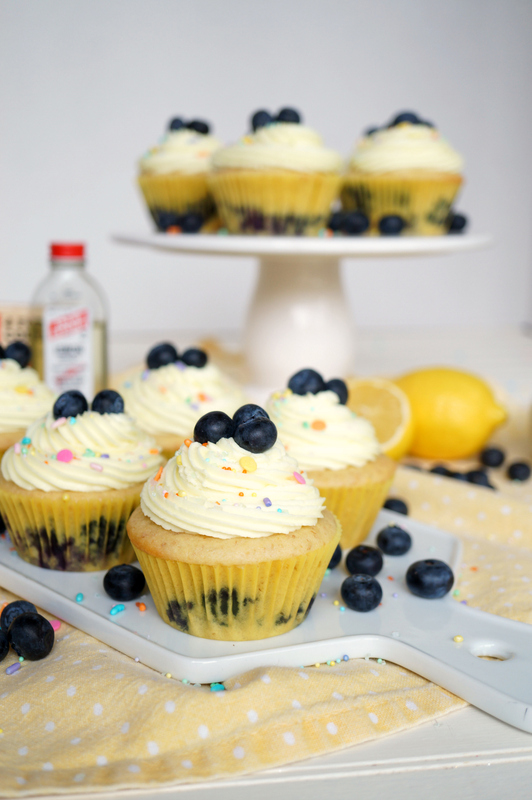 These Vegan Lemon Blueberry Cupcakes are light and fluffy, and packed with fresh lemon flavor. The zesty lemon frosting on top seals the deal! Happy Fri-YAY, friends!! 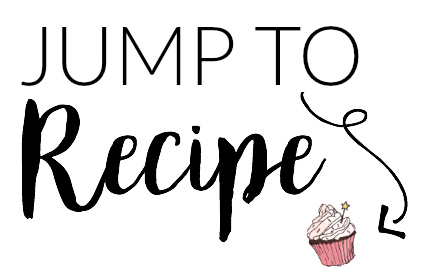 #SpringSweetsWeek is still going strong, and I have yet another delicious dessert recipe for y’all today. 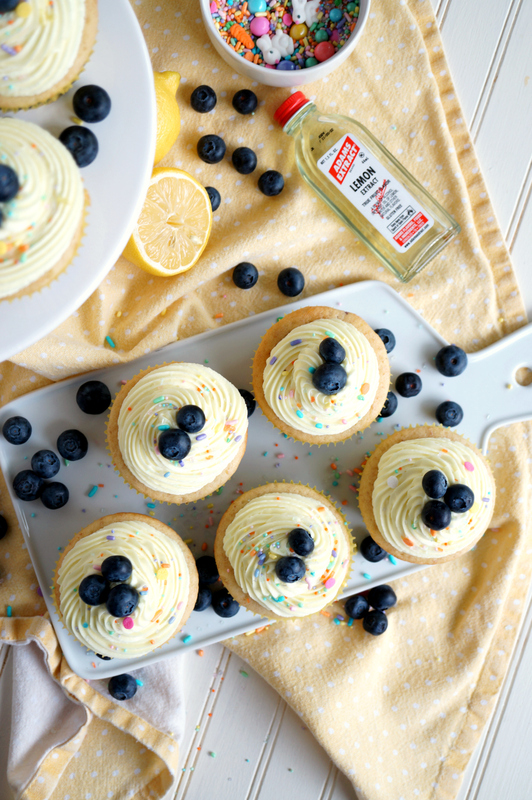 These Vegan Lemon Blueberry Cupcakes are made in partnership with Adams Extracts AND Sprinkle Pop! 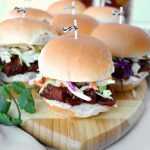 They are so darling, and when I fed them to an unsuspecting group of my friends, they were a HUGE hit – nobody could believe they were vegan! 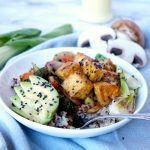 I have found that the best way to get people to eat vegan food is to just… not tell them. Reveal the secret afterwards and everyone’s mind is blown 😂 #VeganBloggerHacks, ya know. ALSO – don’t forget to enter the big G I V E A W A Y before the week is over! You can find it at the bottom of this post! So, a story about these lemon blueberry cupcakes… originally, they were supposed to be baked donuts! I tried a test batch though, and I don’t know if it was because I was too heavy-handed with the blueberries or what, but those suckers would not come out of the pan. They were totally glued. So… back to the drawing board. What’s a dessert that DOESN’T have to come out of its pan? Well, a cupcake! I changed my proportions just a bit, and was rewarded with these light & fluffy treats. These lemon blueberry cupcakes are packed with flavor, and have a triple threat of lemon juice, lemon zest AND Adam’s lemon extract in them! The frosting on top also has some lemon extract in it, and I used Adam’s natural yellow food coloring to achieve the perfect pastel yellow. The finishing touch was these ADORABLE sprinkles from Sprinkle Pop! 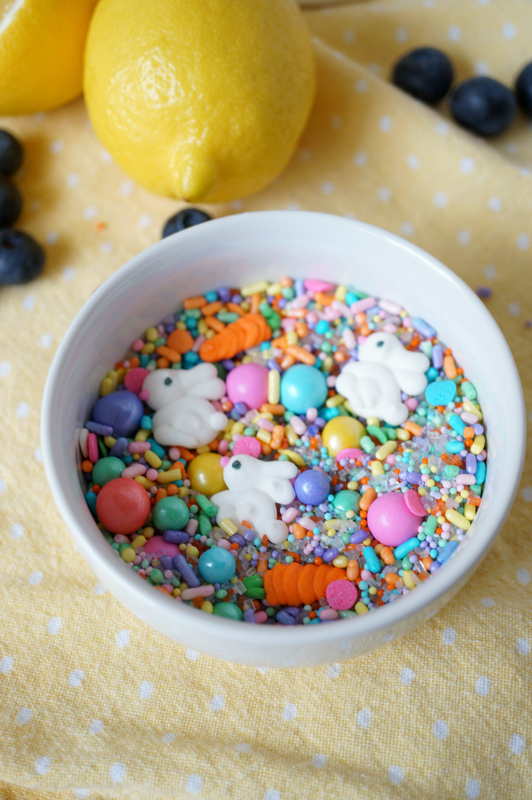 This cute Easter mix is called Egg Hunt. Can you even deal with those tiny bunnies and carrots?! 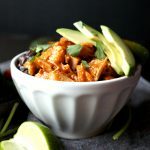 By now, I know you guys know the drill… be sure to hit up all my blogger friends for their delicious recipes of the day! I love how everyone has had such great ideas for showcasing the same brands and products in a completely different way! First, make the cupcakes. Preheat oven to 350F and line two muffin pans with 18 muffin liners. In a small bowl, whisk together the ground flaxseed with the water and set aside to thicken. In the bowl of a stand mixer, combine the flour, baking powder, baking soda, salt, and sugar. Add in the vegan butter, and beat on low until it's incorporated and has a sandy texture. In a small bowl, whisk together the oil, flaxseed mixture, nondairy yogurt, lemon zest and and lemon extract, and add them to the dry ingredients. Mix until combined. Pour in the unsweetened nondairy milk, and beat on medium-low until smooth and creamy. Finally, gently fold in the blueberries. Divide batter evenly among the prepared cupcake liners. Bake cupcakes for 20-25 min until they are fluffy and a toothpick inserted in the center comes out clean. In the bowl of a stand mixer, beat the shortening, vegan butter, and lemon juice together until completely smooth and creamy. Add in the powdered sugar, 1 cup at a time, until a thick frosting forms. Add in the salt and some food coloring if desired. You can add a few spoonfuls of nondairy milk if it's too thick. When the cupcakes are cooled completely, decorate them with the frosting. I used an open star tip (#8B). Top the cupcakes with a few blueberries and the Sprinkle Pop sprinkles. So pretty with the blueberries on top, sounds yummy. They look so delicious! I love the blueberry and lemon combo. And that buttercream looks so good! Wow these look so good! I love blueberry and lemon together. And that frosting looks so yummy! That was one of my favorite sprinkle mixes! Your cupcakes look amazing as always! These sound amazing! Love the classic lemon blueberry flavors. 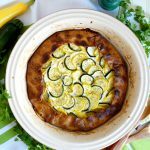 Would this recipe work without lemon? Just blueberry cupcakes. Hi Juana! Yes, they would! I would just sub the lemon juice for more nondairy milk, and substitute the lemon extract for vanilla extract. What bright and happy looking cupcakes! 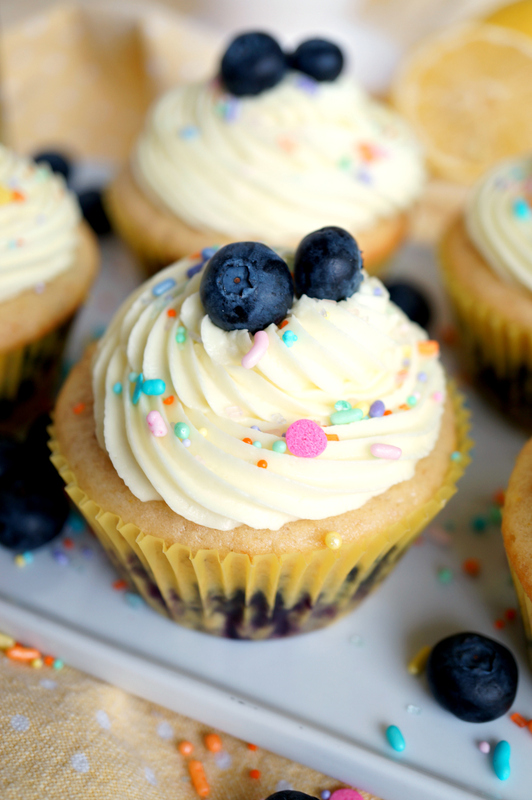 I love lemon and blueberry baked goods (and all things cupcakes and pretty frosting!!!) so I can’t wait to whip up a batch! I always enjoy the lemon blueberry combo. And these cupcakes are so beautifully decorated with that frosting and those cute sprinkles! These vegan Lemon Blueberry cupcakes sound amazing, I love the combination of lemons and blueberries. I can never get enough blueberries and have them in my oatmeal every morning for breakfast. I’d love to try this recipe. Thank you so much, Samantha! Blueberries just scream spring to me! 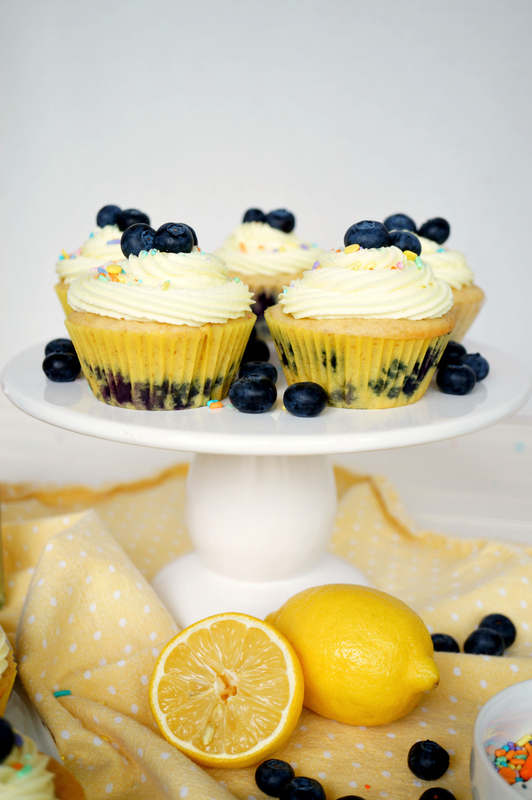 Your cupcakes turned out so pretty, blueberries and lemon are the perfect spring combo. I too am amazed at how everyone had such great ideas for showcasing the same brands and products, in such differently delicious ways. I have lots of them saved to try soon! I love that flavor combination. We have had a lot of it during SpringSweetsWeek but I am so glad!! That frosting looks amazing! I would love to serve a plate of these. My kids love blueberries, and I know this would be a big hit. 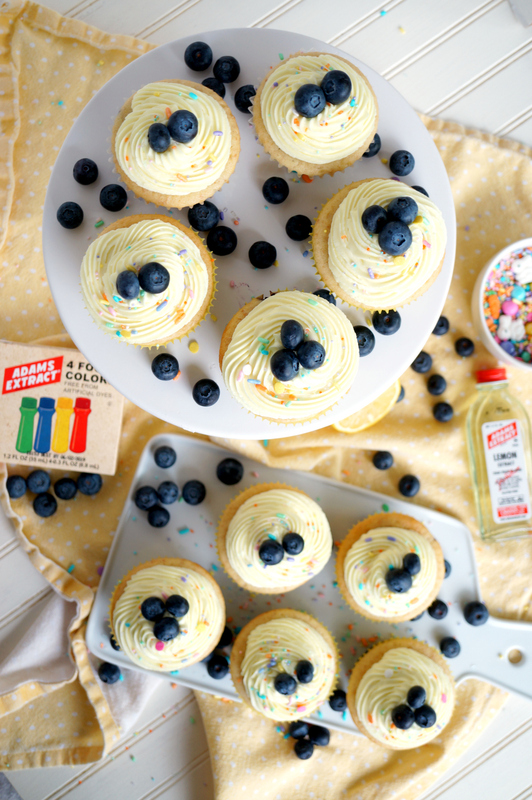 I love lemon and blueberry desserts and these cupcakes look amazing! It was the best cupcakes I’ve ever made! I followed the instructions exactly and it was perfect. 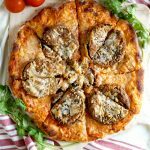 Thank you for sharing this recipe with us, Valentina! 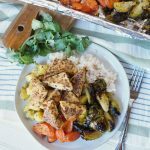 One of my favorite spring flavor combos! These are adorable! Such a pretty cupcake! Perfect for spring entertaining.